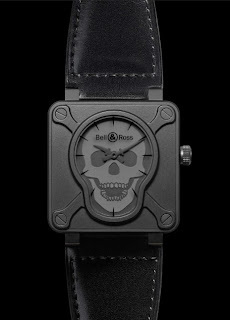 Bell & Ross has launched the limited edition BR01 Airborne watch. This limited edition 500 pieces watch was issued to coincide with the commemoration of the 65th anniversary of D-Day. 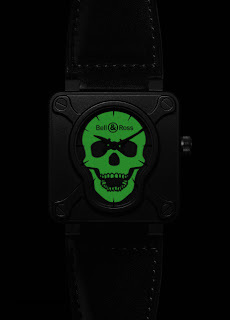 The watch is unique as it has a skull as the dial of the watch. The skull is the emblem worn by the U.S. Airborne as part of their uniform. A video can be seen at the Bell & Ross website under Bell & Ross Videos as a tribute to the brave men and women who fought that day.